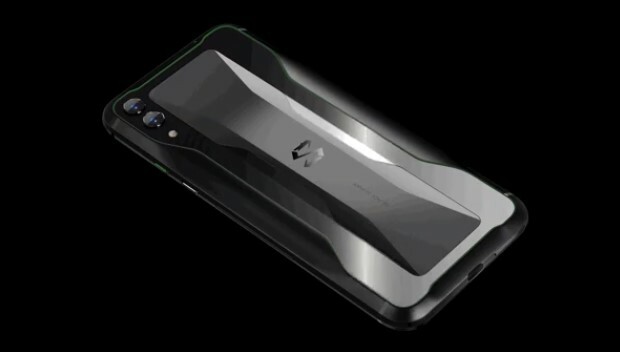 Xiaomi gaming sub-brand Black Shark has today taken the wraps off their much-anticipated second-generation smartphone – the Black Shark 2. It’s a significant update from the company’s previous Helo endeavor, with an abundance of features focused on making mobile gaming more fun and enjoyable for users. This smartphone will be made available in three alluring colors, namely Shadow Black, Mirage Blue, and Frozen Silver (looks like condensed mercury or Silver Surfer, if you’re into superheroes). You can reserve one for yourself right now and will go on sale starting from March 22. Black Shark 2 is expected to land in India really soon. Well, every phone maker is now trying to model their smartphones after aerodynamic car designs (ahem, Vivo iQOO) and the second-gen Black Shark is no different. The company boasts that the ergonomic design of Black Shark 2 resembles that of a sports car, with its curvaceous build and metal+glass design. 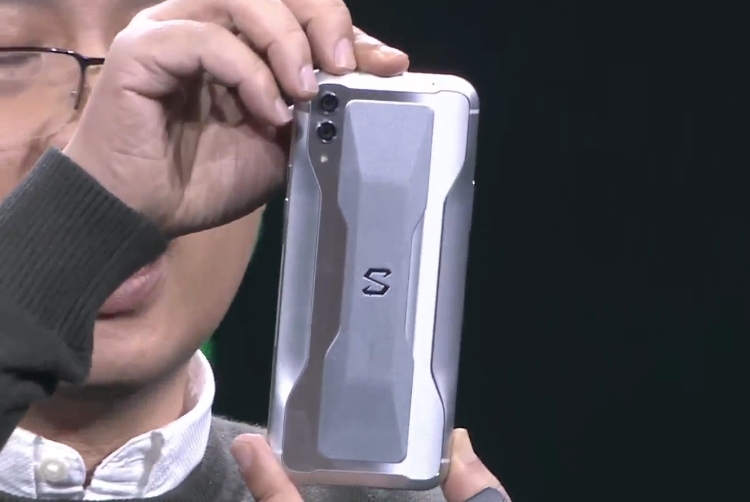 This smartphone also bumps up the X factor by adding LED strips on the edges, in addition to the Black Shark LED logo on the rear. Xiaomi terms it the racing curve in the design. The Black Shark 2 features a 6.39-inch Full-HD+ AMOLED display from Samsung without any punch-holes or notch. It has an aspect ratio of 19.5:9 and display resolution of 2340×1080 pixels. It has a decent pixel density of 403ppi, 430 nits brightness, DCI-P3 color gamut and Super HDR support. There’s Full DC dimming in tow as well, so there’s no screen flicker on the Black Shark 2 as compared to other flagships. The highlight of the Black Shark 2 display will, however, have to be the “Fast Finger” and “Magic Press” technologies. While the former uses an independent image processing chip for improved touch latency, with response time dropping down to 43.5ms, something which will come in really handy for mobile gamers. The Magic Press technology, on the other hand, is similar to Apple iPhone’s 3D Touch and adds a new layer of control to your mobile games. You can now customize pressure-sensitive zones (paired with pressure threshold and touch range) on the screen. This means you will have access to four controls with just 2 fingers and will only need to press down harder on the screen to activate them. It is ideal for FPS games (like PUBG Mobile) as players can keep moving/ looking around, and use the Magic Press when needed. 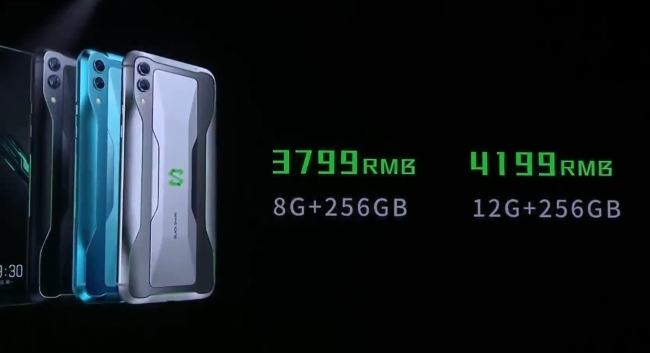 As had already revealed, the Black Shark 2 is obviously powered by Qualcomm’s 7nm Snapdragon 855 chipset, coupled with up to 12GB RAM and 256GB internal storage. 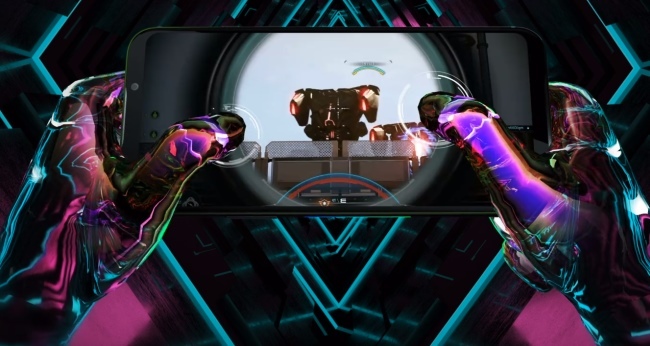 The phone also has dual front-facing speakers and triple-microphone array with AI and anti-howling features to reduce feedback while gaming with the mic on. 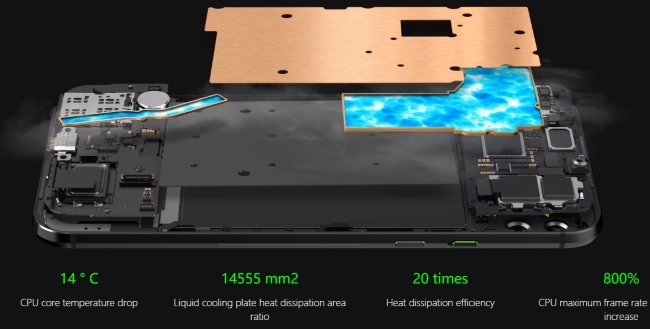 You also get Liquid Cooling 3.0 for even improved heat dissipation; it comprises of three major components, which covers 2 vapor chambers and a copper plate that is said to better heat dissipation efficiency by 20 times and drops core CPU temperature by around 14 degrees. One of the vapor chambers dissipates heat from the internals whereas the copper pipe takes care of heating when your device fast charges. 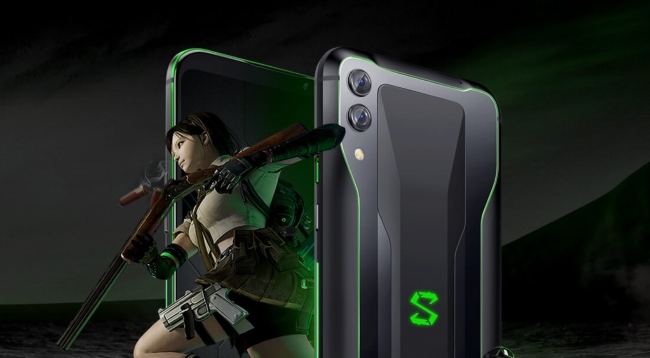 This second-gen gaming phone from Black Shark improves the connectivity by adopting a new ‘X+2’ design, which is a step beyond the X+1 antenna design seen in its predecessor. You now have antennas not only on each of the corners, but on both ends of the body for improved mobile data and Wi-Fi connectivity. As for the camera department, Black Shark 2 comes with a dual rear cameras with a 48MP (f/1.75) primary sensor and 12MP (f/2.2) secondary sensor. There’s no info about the 48MP sensor being a Samsung or Sony one, so let’s leave that aside. We also have a 20MP (f/2.0) selfie camera on board as well. Black Shark 2 comes equipped with a huge 4,000mAh battery pack, which should be quite enough to handle your everyday gaming needs. However, if the power does run out then Xiaomi has included a USB Type-C 27W fast-charger (supports quick charge 4.0) with the Black Shark 2. It also has the usual connectivity options and a fingerprint sensor under the display. 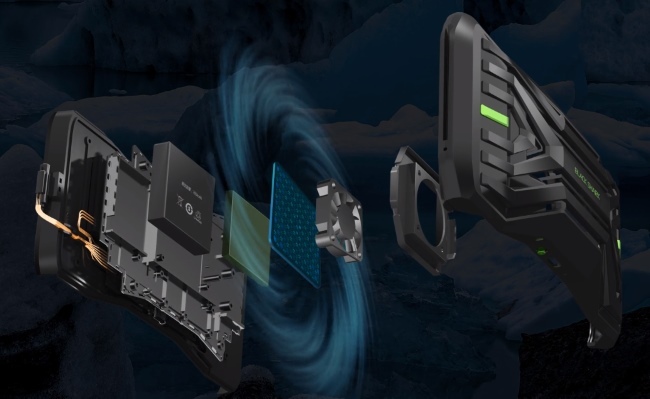 Alongside the Black Shark 2 smartphone, the Chinese giant has also taken the wraps off new accessories, including a cooling fan attachment, Switch-style dual controllers which were first made available with Black Shark Helo, and an HDMI to USB Type-C cable for a “console mode” feature where you can attach your phone to the computer and stream it from there. The cooling fan attachment is something new from Black Shark and seems to draw some inspiration from the Asus ROG Phone and can quickly cool down the phone (by close to 5 degrees) by dissipating heat using the chip and fan combo inside. So, how do you like the Black Shark 2? Would you be interested in buying it if it comes to India? Let us know your opinion in the comments below.